Before we can continue, we must install requisite extensions to Visual Studio. These extensions are integral components to the automated testing process using the .NET stack. The good news is that they are not only high quality, but also free/open source. 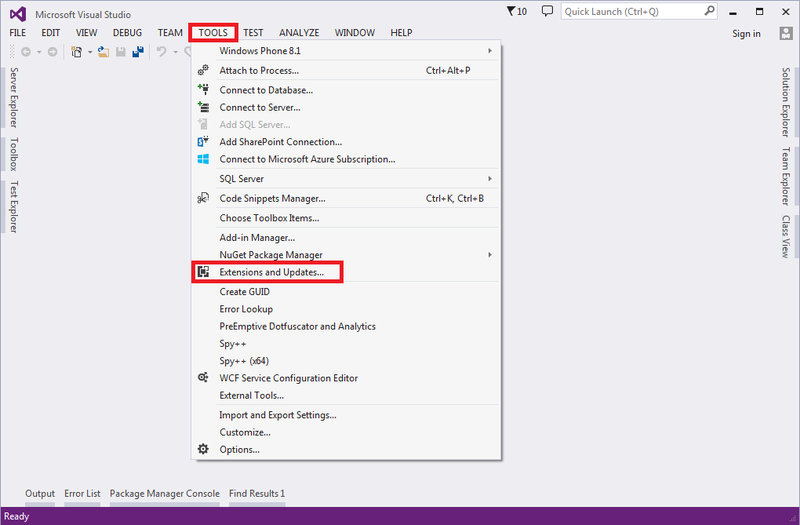 We will be using Visual Studio’s extension manager to add the components. 1) From the Tools menu, select the Extensions and Updates menu item. 2) The extension manager dialog will open. Select the Online on the left, and then type SpecFlow into the search box on the right. Click the download button, and then install when prompted to do so. 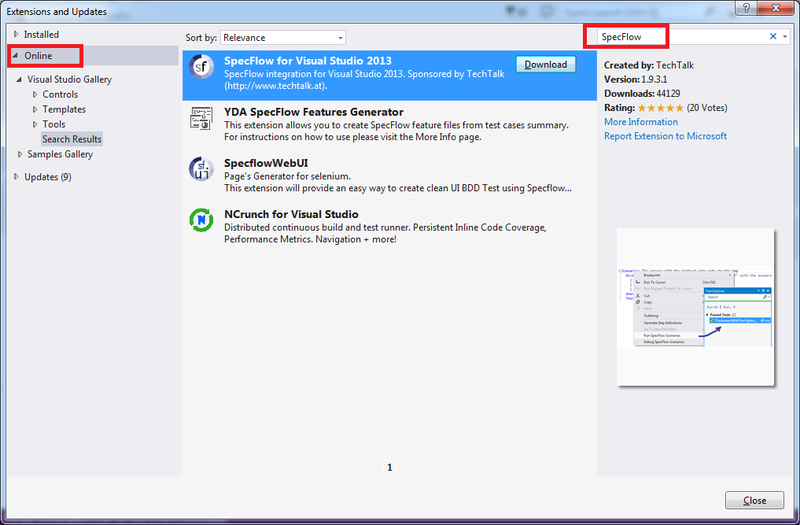 3) Once the SpecFlow install completes, repeat the same steps searching for NUnit Test Adapter instead of SpecFlow. 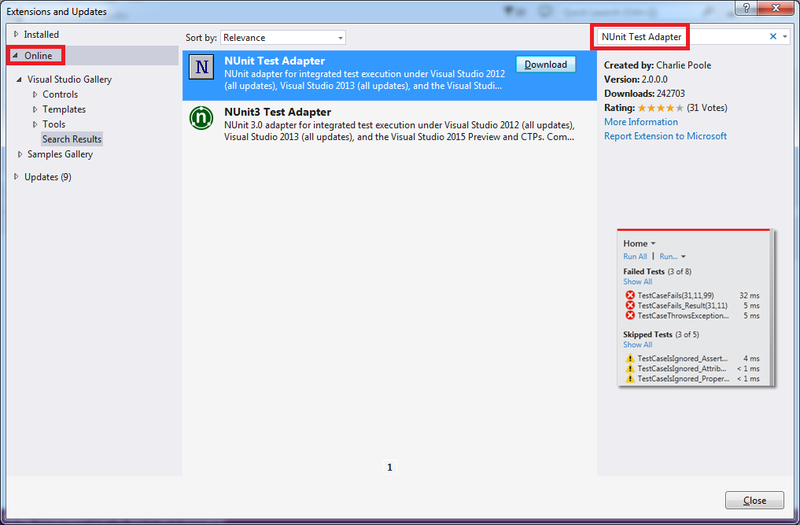 4) Restart Visual Studio, and the extensions will be active. This section is complete now !